I’ve recommended Maggie’s services to a number of my clients in need of independent real estate and property appraisals, estate auction services, and the sale of personal residences. Not only did the actual service provided meet my client’s expectations, but it was how those services were provided that distinguishes Maggie and her company. Unanimously my clients have commented on Maggie’s caring attitude. The staff was friendly and helpful…after our first night attending an auction we decided this was something we wanted to do every week… it was such a fun evening. 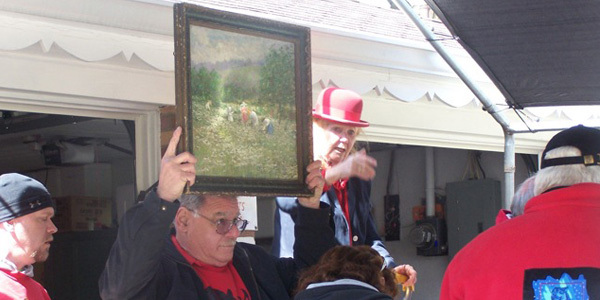 Auctions by Maggie completely handled the sale of my family’s estate at auction, including the real estate, complete and thorough inventory of all items, prompt payment, and effective disposal of the balance of the property. Maggie relieved me of the burden of selling two parcels of property and appraising several items from the estate of a well-known collector for which I was trustee.